Struggling with Christmas gift ideas for your spouse or favorite tech geek? 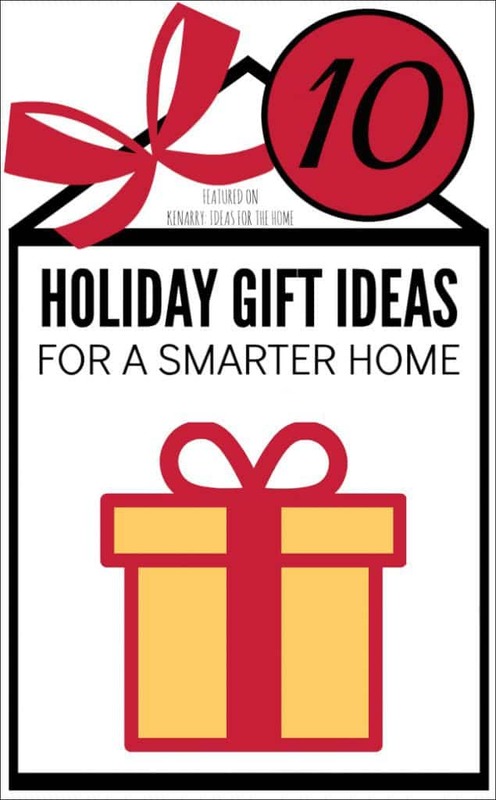 These 10 holiday gift ideas for a smarter home ought to help you get started! Believe it or not, the holidays are here! If you’re like me, you love a great deal and in the tech world, that means shopping early to catch the Black Friday and Cyber Monday deals in November. So this year, I decided to get our list out a bit earlier, and update it frequently as we approach prime deal season! And looking back, a lot of those ideas continue to hold up, so feel free to reference that post for even more great tech gift ideas! In fact, a few of those items fit into this year’s theme nicely! I’ve personally been dabbling in home automation for about a decade with varying degrees of success. Up until recently, it’s been a geek hobby that’s been difficult to set up and maintain. Fortunately the big push into home automation from Apple, Samsung, Amazon, and Google (The Mount Rushmore of Tech Giants! ), has really accelerated the ease of putting together a connected home! The other cool thing about setting up a connected home is that it’s a gift idea that leads to future gift ideas! Once you have a basic setup there are an infinite number of additions that can be made! Stand alone devices – these are devices that work on their own without needing a central automation hub. An example of this is an Internet connected thermostat that comes with a smart phone app. In the case of these devices there is nothing needed but an Internet connection and they function independently of the rest of your home automation. This is the first level and easiest way to dip into home automation. Devices that connect to a centralized home automation hub – A central device connects to your internet and is the brains behind a more complex home automation setup. These devices may or may not connect directly to your internet via your wireless Internet and often have a low power communication protocol such as Zigbee or Z-Wave to communicate back to the central hub. So why would you introduce this level of complexity? Simply put, having a centralized brain behind your home automation opens the door to creating more complex interactions within your home automation. An example of this is a scene where on a single push of a smartphone button you would put your house into sleep mode by dropping the temperature, locking all external doors, and turning off all the lights in the house except for maybe your bedroom. Pretty cool huh? I do want to give the caveat that there are competing protocols and companies in the space each trying to create their own ecosystem, so make sure the components are compatible with each other prior to buying! Enough geek talk, let’s get to why you’re here: THIS YEAR’S LIST! The Amazon Echo personal assistant is a strange hybrid between category 1 and 2. It has limited ability to control select devices, it acts as a bluetooth connected speaker playing music from Amazon Prime Music, Pandora, and other sources! Probably most importantly it gives you access to Alexa, the Amazon personal assistant along the lines of Apple’s Siri. The Echo is constantly monitoring conversations in the room and ready to respond to voice commands immediately when summoned.The Echo family of devices doesn’t fit neatly into either of my categories because it does a little of everything: it’s a home automation device on its own, it will control select other home automation devices, and it will even give you an interface to a centralized home automation device. In my mind, this is a great way to interface with your home automation – “Alexa, turn the temperature down to 72 degrees” takes the place of either walking to the thermostat or pulling out your smart phone to activate your thermostat’s app. Amazon Echo Dot is the newest addition in the Echo family and significantly reduces the cost while maintaining a lot of the flagship Echo’s features. The biggest thing you give up is the built in speaker. This device is designed to connect into an existing music system and give you voice control over the input music from the Echo Dot. In my case, that’s just the ticket as I already have my house wired for sound! For home automation this device still allows access to the Alexa and voice control over many of your devices or your hub. Check the Amazon website to make sure your particular device is compatible. If you’re looking to future proof your home automation, my current choice of hubs is the Samsung SmartThings Hub which has a lot of momentum. The list of compatible devices is comprehensive and the price is reasonable, making it a great central point to build your home automation around and works well receiving voice commands from Alexa to control your devices. The Honeywell RTH6580WF Wi-Fi 7-Day Programmable Thermostat is a very popular WIFI enabled thermostat at a really reasonable price. This also works well with Alexa voice commands and will interface with a Samsung SmartThings home hub. I’ve been using a Nest Home Thermostat for several years now as a stand alone internet enabled thermostat and am a huge fan of the design and styling. If you’re looking for something sleek and friendly on the eyes that also does a really nice job automatically controlling the climate in your home, this is the one for you! As a bonus it also works well with Echo voice commands and can be added to your SmartThings hub with a community developed app. If your home is like mine with central forced air heating and cooling, you probably have a tough time keeping all the rooms at the temperature you’d like. One solution for this is a costly and complex zoned heating system. For me that’s not really an option as I don’t want to tear up my finished basement to get it installed. So what options are there to keep all your rooms at the desired temperature? Enter the Keen Home Smart Vent. When I first saw this I thought it was brilliant and simple. Just install a number of these smart vents around the house, set your desired temperature in each room and Keen will do the rest! And as a bonus, the smart vents will also integrate with both Nest and the SmartThings hub from Samsung! This is a basic building block for the Samsung SmartThings system. With the Samsung SmartThings Multipurpose Sensor you can monitor temperature, angle, vibration, and when things open or close. So use your imagination as you build your perfect automated home! Interested in knowing when there’s activity in a given room? This Samsung SmartThings Motion Sensor will report motion back to your SmartThings hub and you can set up alerts so you always know what’s going on at your home. Are you ready to go all in with Samsung SmartThings? If so then buy the Samsung SmartThings Home Monitoring Starter Kit bundle and save! This WeMo Smart Plug can be controlled by both Alexa and SmartThings, so you’re truly future proofed! So that’s it for this year’s list. The great thing about getting started on home automation is that there is always more stuff to add, so you’ll never be short on gift ideas again! Do you have a favorite home automation product? Please share it below so I can check it out for myself. 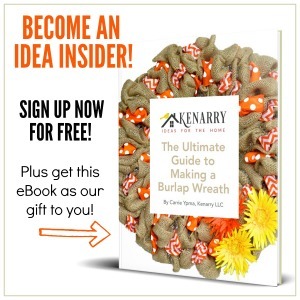 Kent is responsible for a lot of the behind-the-scenes work on Ideas for the Home by Kenarry™ including editing stories, acting as a sounding board and providing technical support. Kent also writes occasionally, usually about technology, home improvement or organization. 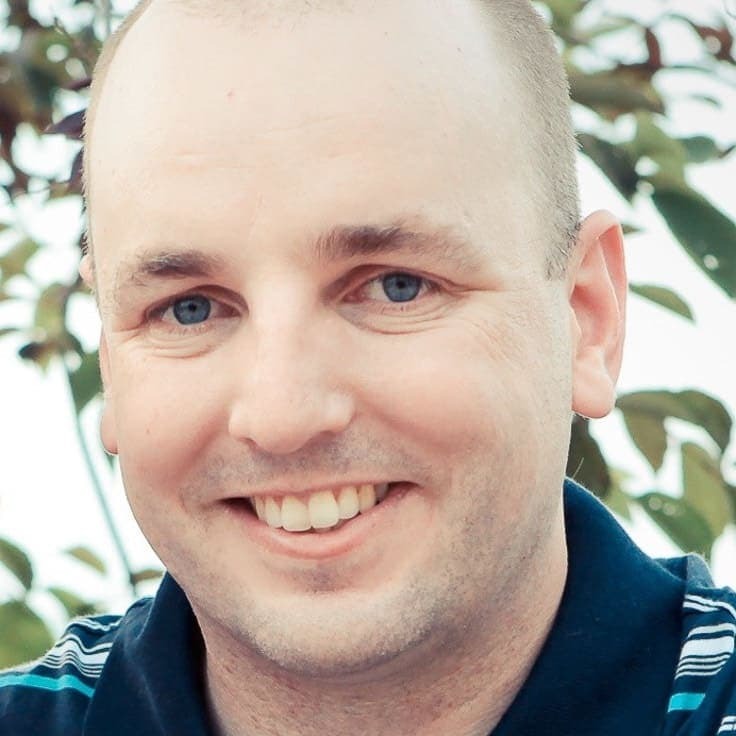 By day, Kent is a design engineer and manager for an automotive supplier. In his spare time, he loves researching new tech toys, fishing at our cottage and watching the Seahawks win. Great gift list! I agree that the Samsung Smart Things Hub is really reasonable as far as price goes. Have you heard any negative feedback on it yet? I know their list of products that are compatible is growing. Just wondering what the future might hold for Samsung now! Thanks for the comment. I’ve been really impressed with the SmartThings hub and accessories. I’ve been able to pair it with both Samsung and non-Samsung peripherals and they all work together seamlessly, so I’m very pleased! The latest addition that I got as an early Christmas gift was an Echo Dot. The integration to SmartThings is really robust and I’m having a great time controlling my home through the dot. Thanks again for the reply, I’m also anxious to see where Samsung takes this!